Hotel guests normally don’t expect to suffer an accident while vacationing or partaking of a paid business trip sprinkled with recreational activities. However, statistics show that Hotel accidents are more likely to occur when people are most relaxed. Statistics show that over 100,000 accidents take place in hotels across the USA every year. Some may wonder what kind of accidents occur at hotels. There are many ways to suffer personal injuries at places designed to offer the comforts of home. And when one stops to think, most accidents take place in the home. The dangers in a hotel are many; starting from steps, stairs, escalators, elevators, ramps, swimming pools, gyms, spas, and even parking lots. At any of these places, a guest can suffer all sorts of injuries, either due to their individual fault or due to negligence on behalf of the hotel management. 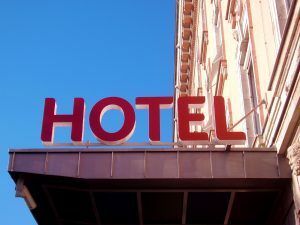 Perazzo Law reminds anyone injured in a hotel that Premises Liability applies to guests, employees and services providers. (See Premises Liability). Guests that suffer personal injury accidents on hotel premises usually include slip and fall accidents which may lead to broken bones and fractures. 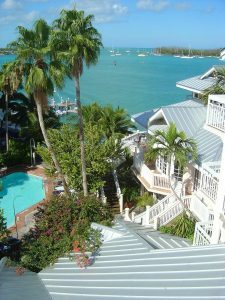 The elderly are more prone to slip and fall accidents in hotels due to ramps, stairs, and landings with inadequate walking surfaces and/or loose or missing handrails. Children suffer many poolside accidents such as head injuries and some drowning cases. Many guests suffer in-room accidents such as electrocution and head injuries from falling in bathtubs. Food poisoning is a common occurrence at hotels and must be handled urgently to ensure compensation for losses or suffering. If you, a friend or relative has been hurt in a Miami hotel or resort contact Perazzo Law ONLINE. The Miami-based Royal Caribbean Cruises, Princess Cruises, Norwegian Cruise Lines, Oceana Cruise, just to name a few, take to the seas nonstop and year-round offering passengers memorable ocean voyages through the Bahamas and the Gulf of Mexico. Most often, cruise ship passengers take home fond memories of sun, fun, and breathtaking landscapes of the endless blue seas. Sadly, some cruise ship passengers may sometimes fall victim to injury due to negligence on behalf of cruise ship operators, crew, or other passengers. Most personal injury accidents of cruise ships may include slip and fall incidents, which may basically stem from the many different surfaces where passengers dwell. Slippery decks, protruding floorboards, loose handrails, waxed marble floors can cause people to fall and suffer bruises, fractures and even head injuries. (See Slip, Trip, and Falls) Food poisoning can be a possible cause of personal injury on a cruise ship as can be medical malpractice. Cruise Ships are obliged by law to make sure passengers as well as employees, receive proper and professional medical care in the event of a personal injury accident. Failure to provide adequate and precise care and/or diagnosis can result in a medical malpractice claim brought on by the injured party’s personal injury attorney. 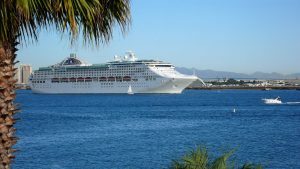 Perazzo Law reminds victims of cruise ship accidents that it is possible to sue a cruise ship line for injuries as a cruise ship passenger. Perazzo Law urges accident victims to contact or Miami office ONLINE for a FREE consultation to determine whether or not the cruise ship company and their insurance provider will compensate you, a friend, or relative for any injuries, damages, or losses incurred from a cruise ship accident. PERAZZO LAW – DEDICATED TO PUTTING YOUR INTERESTS FIRST…ALWAYS!